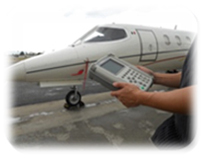 A Plus Avionics is a FAA part 145 certified repair station offering a wide range of aircraft avionics systems and testing equipment and a customer focused provider of avionics repair, overhaul and calibration services to the commercial and regional airlines and operators. We offer a wide range of high quality products and systems to the global air transport marketplace ranging from full avionics suites and to aviation test equipment and tooling. A Plus Avionics offers a wide range of new and used / refurbished avionics aircraft test equipment from major manufacturers such as IFR / Aeroflex, Tel Instrument / TIC, Barfield / GE Sensing, ATEQ, Laversab, Collins, and Atlantis Avionics. 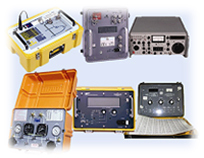 We buy the avionics test sets you no longer use and accept trade-in of the old equipment when you upgrade to a newer model. A Plus Avionics experienced technicians stand ready to assist you with all your avionics inspection testing and certification requirements.